3 Bedroom Semi Detached House For Sale in Liverpool for Offers Over £160,000. 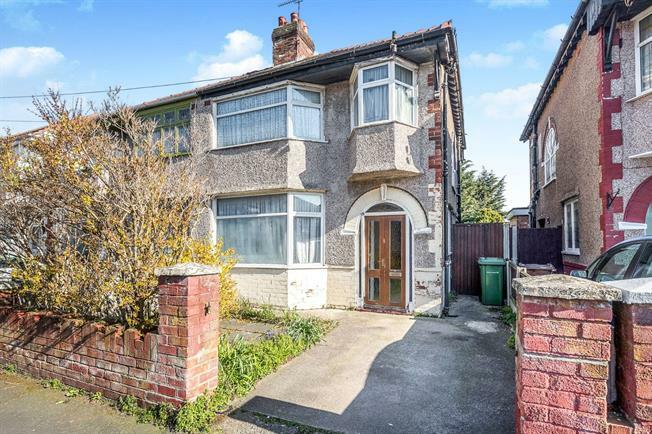 Coming to the sales market courtesy of Entwistle Green's Crosby branch is this three bedroom semi detached family home within need of complete modernisation throughout. Hosting many original features including stunning stained glass windows, the property will appeal mostly to first time buyers and investors. The garden is of a good size to the rear and the property boasts off road parking. Internally there are two reception rooms and kitchen to the ground floor. Continuing the tour to the first floor you will find three generously proportioned bedrooms and a bathroom. An early viewing is a necessity.